SLC suspended him for three matches for violating the contract that he has entered to with Sri Lanka Cricket. And the remaining three matches because of breaching the Player Conduct. 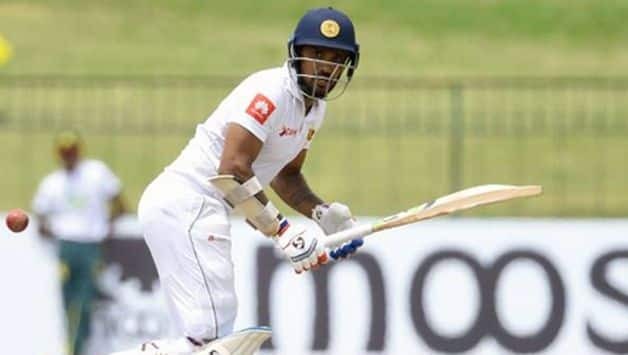 Danushka Gunathilaka will also not get his match fees for the second Test against South Africa. Moreover, he is also serving a one-year ban since October 18, 2017, for breaching the conduct. Sri Lanka Cricket initially handed him a six-month ban last year but later reduced it to three months. Sri Lanka Cricket had earlier suspended the batsman, pending inquiry, without divulging the reasons. AFP later reported that the suspension was in the context of an alleged sexual assault that occurred in the team hotel. The alleged incident reportedly involved Gunathilaka’s acquaintance. A Norweigan woman accused him of alleged sexual assault. The Police arrested the accused named Sandeep Jude Selliah following the complaint. Danushka Gunathilaka, however, stated that he wasn’t aware of the incident as he was asleep. Sri Lanka Cricket deducted the match fees of Danushka Gunathilaka. “He has said he was asleep and was not aware of what had taken place between his friend and the Norwegian woman,” a policeman told AFP. Danushka Gunathilaka, who was in good form during the Test series failed to make the cut for the ODIs. He will join Dinesh Chandimal who is serving a ban of two Tests and four ODIs following the ball-tampering row in Windies.